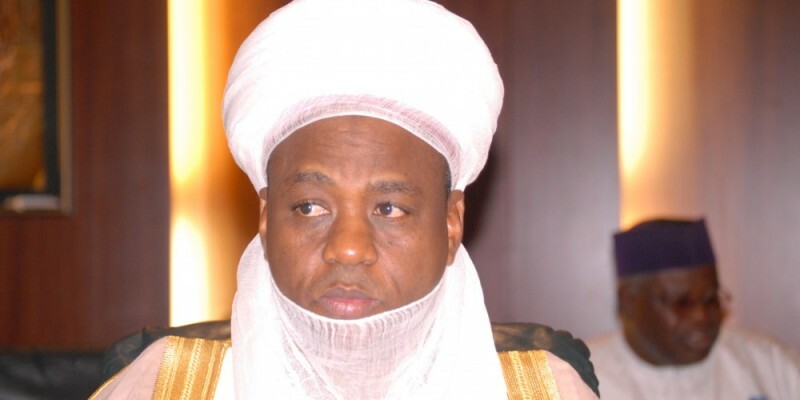 The Sultan of Sokoto, Sa’ad Abubakar III, on Friday inaugurated the multi-million Maiduguri Central mosque project executed by the Borno State Government. Abubakar led hundreds of Muslims faithful who observed the Juma’at prayer, to signal the formal inauguration of the mosque. The project initiated in 1986 was completed by Gov. Kashim Shettima, after it was abandoned in the past 33 years. Abubakar lauded the gesture, saying it would go a long way to promote Islam religious knowledge and called for religious tolerance among the people. He recalled that the Kanem Borno Empire and Sokoto Caliphate; maintained mutual relations for many centuries, noting that such relationship assisted in the promotion of true teachings of Islam in the region. The emir admonished the people to shun acts capable of breaching peace and called for prayers for peaceful conduct of the forth coming elections. Gov. Kashim Shettima, said that the state government had rehabilitated and constructed religious places of worship including churches and mosques for the improvement of social and economic well being of the people. Shettima explained that the projects were designed to address the religious needs of the people in areas where such structures were lacking. He said that his administration had accorded priority to the re-invigoration of education following the destruction in the sector caused by Boko Haram insurgency. Shettima revealed that the state government had constructed over 40 Mega School in Maiduguri metropolis and other communities, to accommodate children orphaned by the insurgency as well as enhance access to quality education for all. He added that his administration had also executed viable education development projects and free education programme, to encourage school enrollment and enhance girl child education. The governor called on the people to enroll their wards in schools and ensure their proper moral upbringing. Also, the Shehu of Borno, Abubakar El-kanemi, said the mosque was first built in 1918 and demolished in 1986 for upgrading project, noting that it could not be completed by successive administration until now. El-Kanemi commended the governor and those that contributed to the successful completion of the project. A number of newly constructed mosques and schools would also be inaugurated in Maiduguri by the Sultan during his visit to the state. The projects were executed by the state government at Bulumkutu; Kalimari, Shehuri South, Mafoni and Abujan Talakawa, among others. The event was attended by the Emir of Kano, Muhammadu Sunusi II and other emirs in the country.